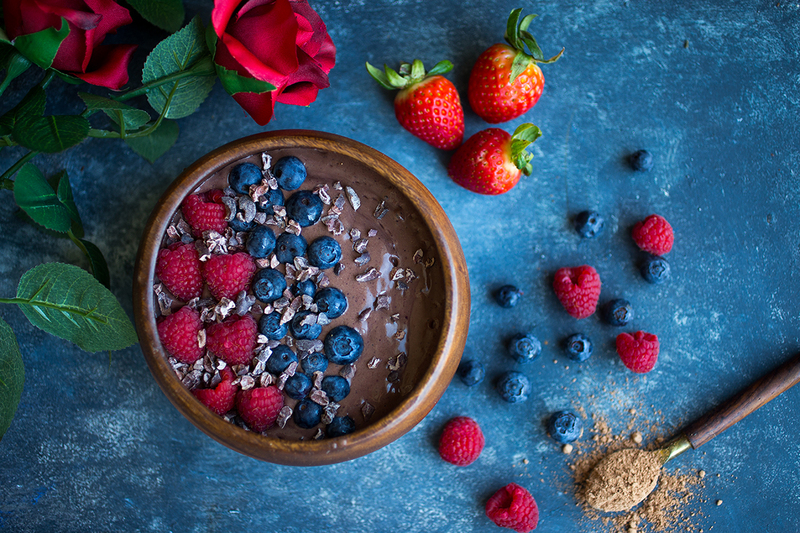 I have to be honest, I am not a huge fan of Valentines Day, but I’ll always take a good excuse to create festive recipes that involve berries and chocolate. How could I resist? 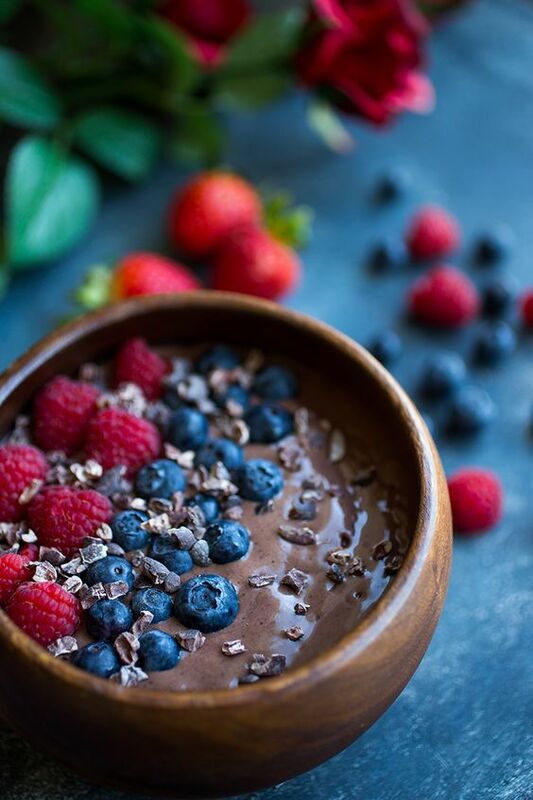 This Chocolate Mixed Berry Smoothie Bowl is low in sugar, but high in flavor and nutrients. 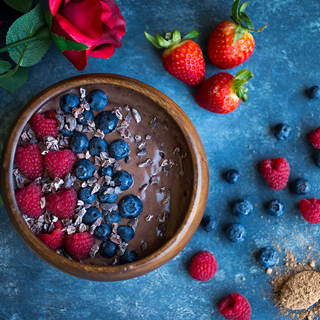 Why a smoothie bowl and not just a smoothie? First of all, everything is more fun when you eat it out of a bowl, right? Second of all and most importantly, I always like to add toppings so that I can chew my smoothie instead of just drinking it. Chewing nutrient-dense food is imperative because without chewing, our bodies don’t produce adequate enzymes for absorbing those nutrients. So regardless of whether or not you drink your smoothie from a cup or a bowl, add some chewable toppings to get those enzymes working! Combine all ingredients other than toppings in a high powered blender and blend until fully combined. Add smoothie to a bowl plus toppings and eat with a spoon! As soon as i read chocolate, i said that’s something for me to read. I have a weakness when it comes to chocolate. And this recipe looks scrumptious , I can’t wait to make it for myself. Thank you for sharing this. I’m off to the kitchen now. Cheers!